Seasons Greetings, TAoOMers! 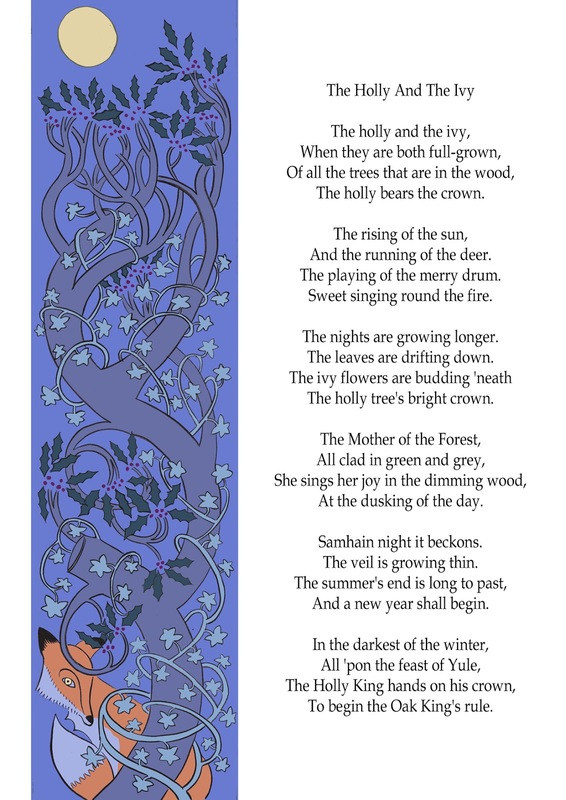 Just a quick post to welcome in Yule. We'll be away from the keyboard next week (eating eating eating) but we'll be back in the New Year with a preview of some of the exciting things to come. This week's offering is a re-rewrite (probably) of one of the older known Christmas carols. The Holly and the Ivy goes back quite a ways and its origins are veritably unknown (it is attributed to some dude in the 18th Century, but he didn't write it). However, due to the amount of Pagan imagery (holly, ivy, deer, etc.) it seems unlikely to have originated in the Church. So here's Phil's version. 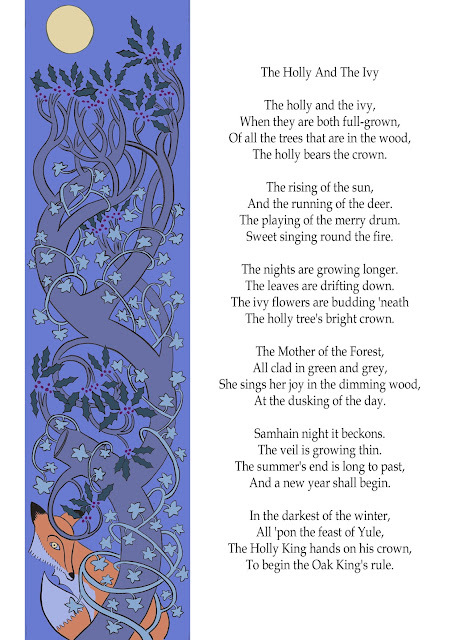 No babies, no sinners, just Yule and the changing of the seasons. Simple, wintry loveliness.